We transfer from VHS, s-VHS, VHS-c, 8mm video, hi-8 video, digital 8 video, mini-dv, mini DVD, SD cards and Betamax. (PAL Mini DV transfers are not available) to DVD or to MP4 file format. Each tape transferred to DVD is a single chapter and has a separate chapter title that appears in the menu. Custom chapter titling is generally not offered, but can be provided. Chapter titles are limited to 18 characters. An additional fee may apply. 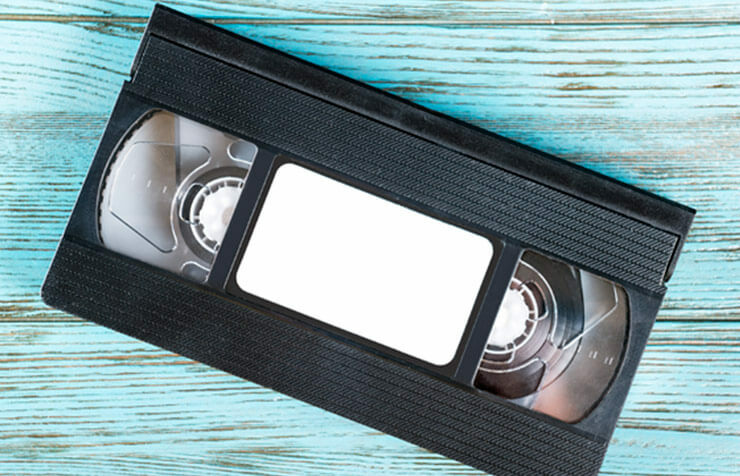 It is possible to put more than two hours onto a DVD, but the quality will suffer and the price will not be any less than utilizing more than one DVD to maximize quality. For transfers to MP4 a blank hard drive or USB drive must be supplied by the customer or purchased in-store. Approximately 1 GB of storage is needed for each hour of video. Single tape/DVD to archival DVD (no editing)less than 2 hrs. 2-4 Combined tapes / DVD's to archival DVD (no editing) less than 2 hrs. Single tape/DVD to archival DVD (no editing) less than 2 hrs. All motion film is transferred on new frame-by-frame transfer units. These units basically take a 1920x1080 hi res scan of every individual frame and those frames are reassembled into a playable video file. These individual jpeg images of each frame are what are known as the Master Image Sequence (MIS) . A MIS is perfect for the customer who wants a backup that will allow them high quality, flexible format that can be easily converted to other formats in the future. Each reel of film will have it's own folder with each and every frame of that reel accessible as a jpeg file. Suggested transfer it to HD - MP4 or HD - .MOV. You can request having transferred to DVD (SD) but that will be of lower quality. Transfers to MP4 or .MOV require a flash drive or external hard drive. A quick rule of thumb is that you will need about 4 GB of storage for every 50' reel of film that you are having transferred. This drive must accompany the order or there may be delays in completion of the order while a drive is sourced. Each new reel of film being transferred to DVD will have a new chapter title on the DVD menu. Chapter titles can be provided by the customer (up to 2 rows of 20 characters for each reel of film). If a chapter title is not provided we will title the chapter with the number in which they were transferred. Efforts are made to try and place film in chronological order is possible. Additional copies must be ordered at the time of transfer. Extra copies at a later time are $25.00 for the first copy, and $15.00 for additional copies. Extra copies of film transfers can be made without the original DVD provided it is done within 12 months of the original transfer. Extra transfer copies must be ordered at time of transfer.